Group Created with Sketch. icon/close-1px Created with Sketch. icon/arrow-1px Created with Sketch. icon/bag-grey Created with Sketch. A refined expression of joy and romance. Choose the overall style of the ring including prong and band styles. 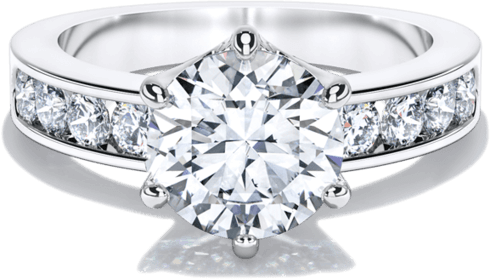 A mirrored pavé band creates a gorgeous, symmetrical base for your diamond. 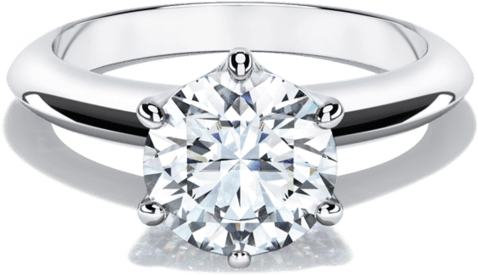 It is a commanding ring that confidently cradles your stone with a 6-prong setting. Art Deco lovers and heirloom collectors will admire the construction and peekaboo pavé feature on the side of the band. 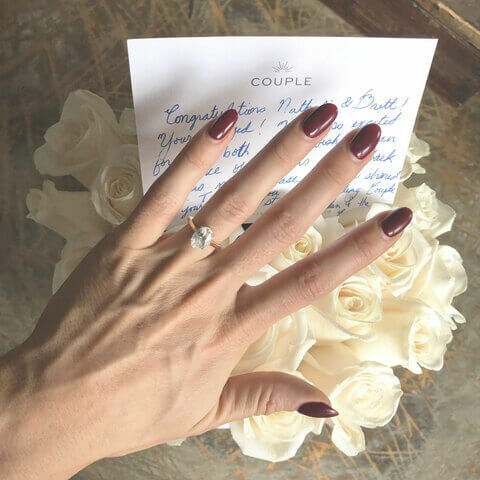 This ring is pure romance, embodied. With a 4-prong cathedral setting, your stone will sit at a lower profile, while allowing for maximum light to enter. An elegant taper of pavé stones sets the perfect stage for your diamond, in a whimsical manner that will always impress. Dramatic, dreamy, yet modern. 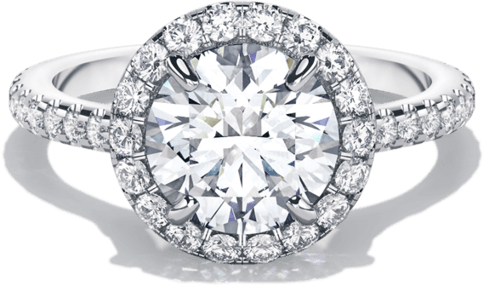 Your diamond is stunningly set above a delicate band of micro diamonds. A 4-prong cathedral setting is the perfect setup for this very sophisticated and understated take on pavé. Looking for a different size or shape? Choose a metal for your band. Our most popular and versatile metal. 18k white gold sets the perfect backdrop for your stone to shine. A symbol of love and a modern take on gold. Our 18k rose gold flatters all skin tones and is a unique metal for engagement rings. A classic precious metal. 18k yellow gold makes a warm statement of joy. Famous for so many reasons. The strongest of the precious metals is hypoallergenic and will never lose its luster. Don’t know exact size? No worries, we have fast, easy returns. We stand behind the quality and craftsmanship of our rings. If for any reason your Couple ring is damaged due to manufacturing, we’ll repair or replace it, no questions asked. Many of our rings can be engraved with up to 15 characters on the interior of the ring. Let’s chat about your options. If for any reason you aren’t satisfied with your ring, simply return it within 60 days for a resize, exchange or full refund. Free 2-day shipping included to make things as simple as possible. At first, we assumed mined diamonds were the gold standard. However, serendipity led us to lab-grown diamonds. 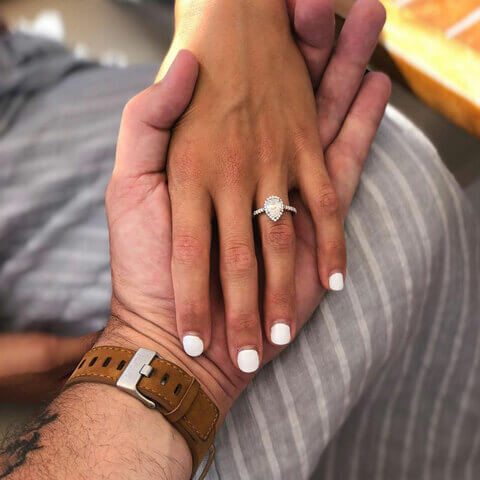 Couple’s lab-grown diamonds are atomically and chemically identical to mined diamonds, yet 25-30% larger on a price basis. Compared to mined diamonds, Couple diamonds are eco-friendly, and 100% ethically produced and sourced. The joy of starting a life together. The most popular and versatile, our 18k white gold pairs seamlessly with the diamond to highlight its sparkle. Also available in platinum, rose gold, & yellow gold. Elegant. Timeless. A time-honored silhouette. Dramatic. Dreamy. The showstopper that leaves an elegant impression. Bold. Modern. Sleek. Reinventing how classics are made. 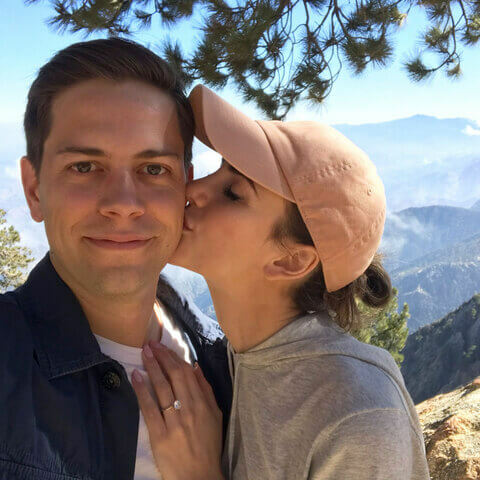 Couple proposal stories, ring-buying guides, proposal advice and more. We’ll focus on the diamonds. You focus on your joy. 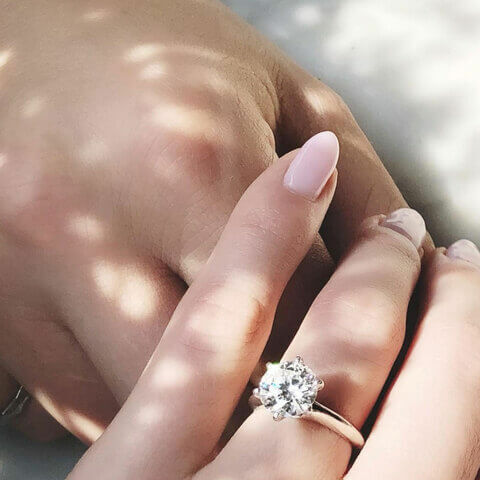 For me, buying an engagement ring was an emotional rollercoaster. There was a lot of research, jewelry store visits, Instagram research and doubt. 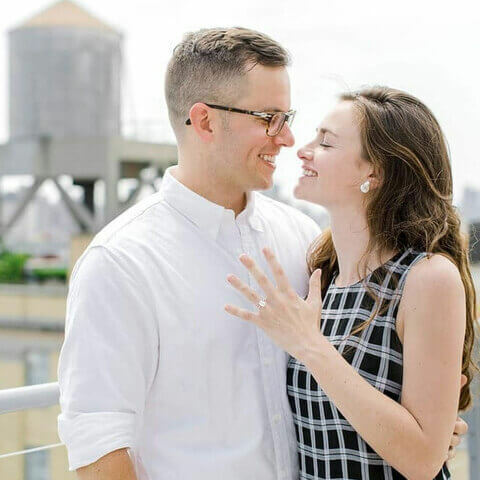 After all that, I vowed to make the ring buying process simple and one that sparked joy. Trust, thoughtfulness, transparency and quality are just a few of the ways we’ll deliver when you buy a Couple ring. 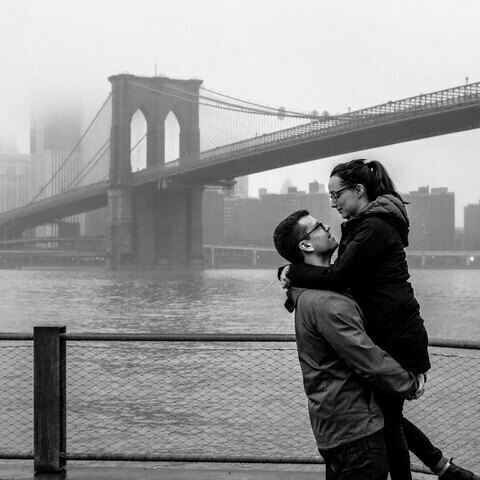 You deserve to focus less on the potential pitfalls of buying a ring and more on the person who will one day wear it.